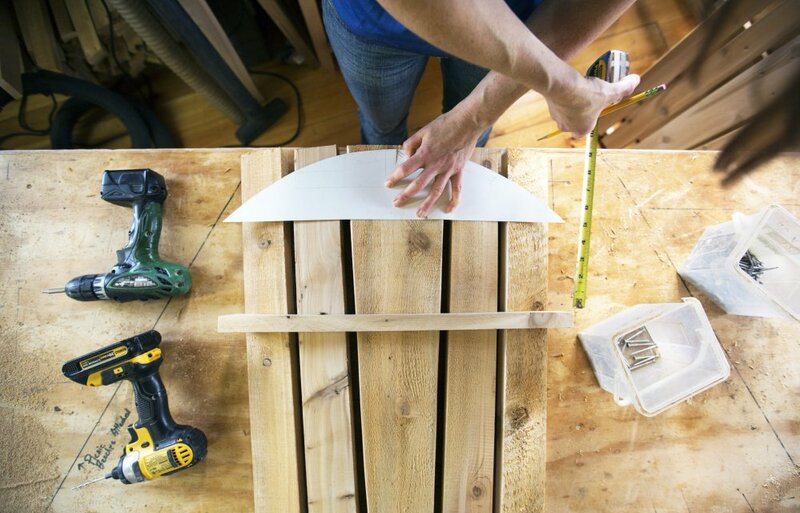 Amber Oberle of Maine Adirondack Chairs uses a jigsaw to shape the distinctive rounded top of a nearly complete Adirondack chair. 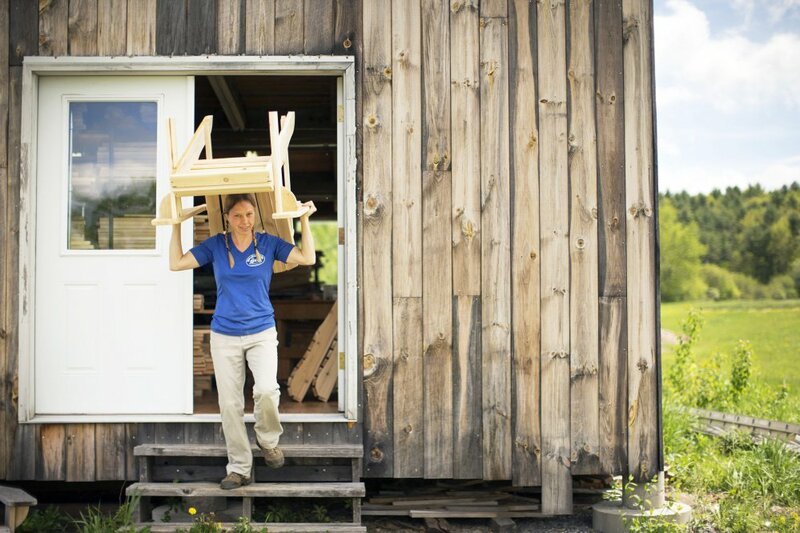 Melissa May of Maine Adirondack Chairs pulls lengths of white cedar from a rack.  The shop's three employees plane lumber and cut patterns on some days, and assemble on others. 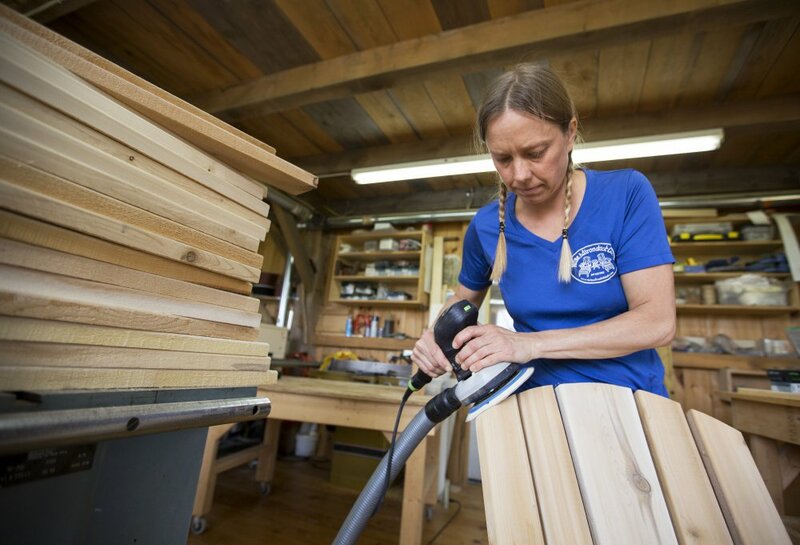 Petra Mesaric, of Maine Adirondack Chairs, uses an orbital sander to put a smooth edge on a newly assembed chair. 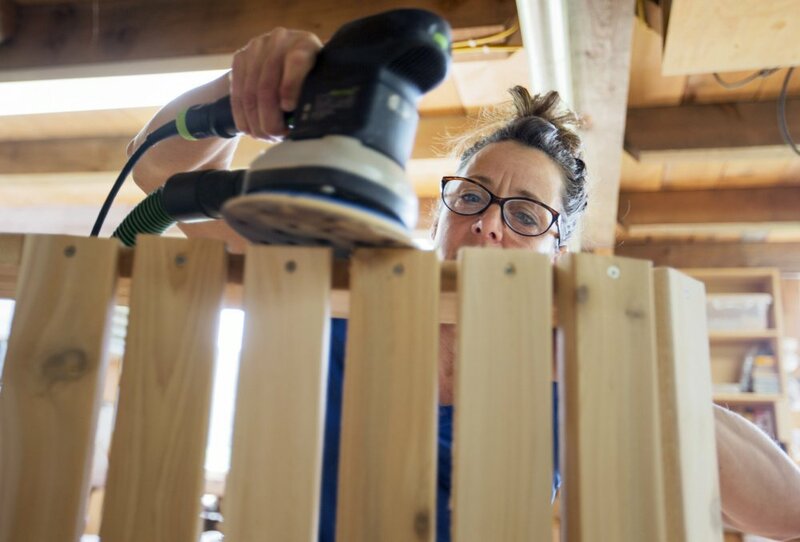 Melissa May of Maine Adirondack Chairs sands a smooth finish on the top of a newly assembled chair before taking it outside. 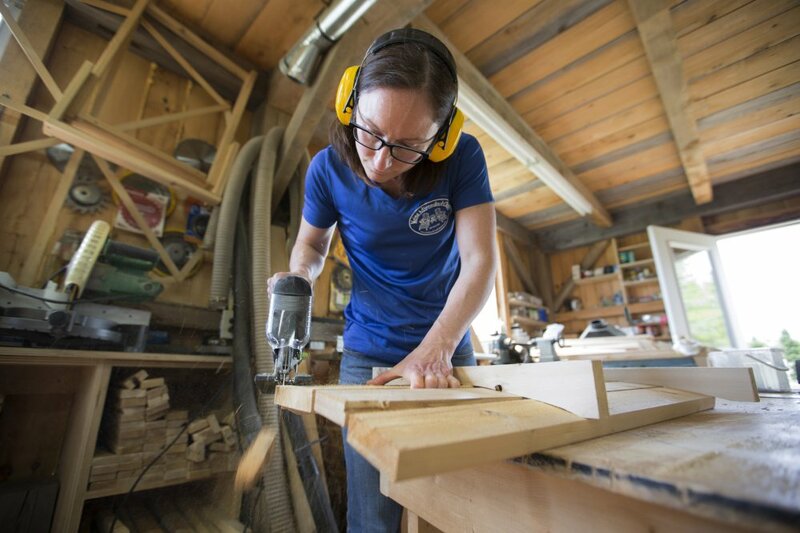 Amber Oberle of Maine Adirondack Chairs measures before using a pattern to trace the distinctive curve of an Adirondack chair's top before sawing. 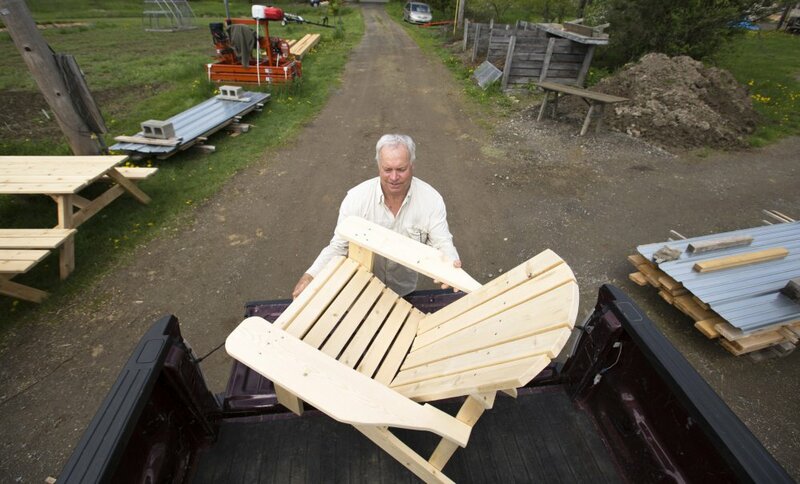 Rob Lemire, owner and founder of Maine Adirondack Chairs, loads one of three finished chairs into a customer's pickup truck bound for Cape Cod. 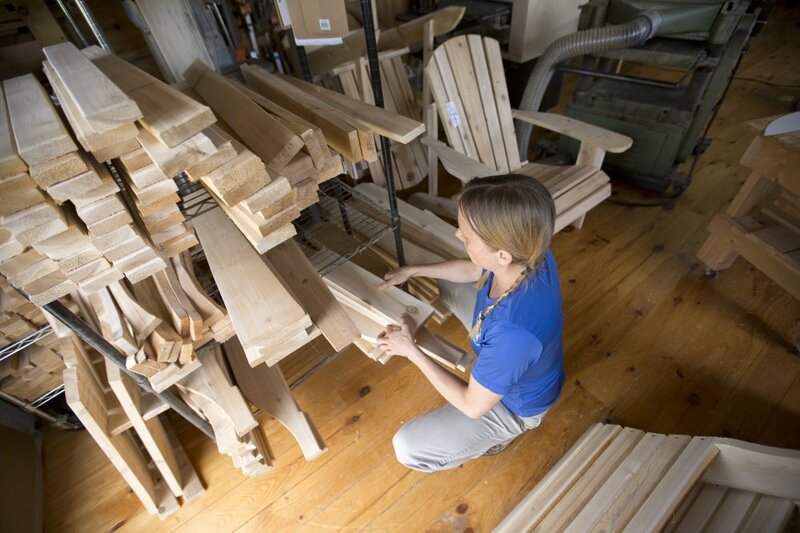 Melissa May of Thorndike hauls a newly assembled chair out of the workshop at Maine Adirondack Chairs.